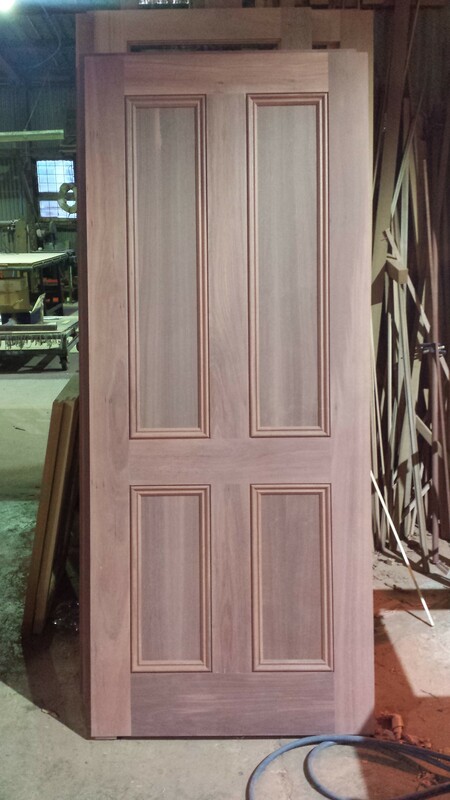 We continue manufacturing the Jarrah work for a hotel and as all the windows are done, we are onto the doors. Here is one of the internal, Jarrah doors all finished. It weighs 47 kilograms, so quite heavy and will need good solid hinges to support it.